As the number of solar panels on business and home rooftops multiply, America's power grid is bearing an electrical load that it was never designed to handle: bidirectional power transfer. With bidirectional power transfer, the utility still sends power to the customer, but with solar panels, the customer can then send excess power back to the utility. Because power grids evolved organically in a bottom-up manner, as opposed to a centrally coordinated master plan, they were not designed to take on bidirectional power loads. America's utilities are now facing a costly region-by-region infrastructure upgrade as new energy technology, such as smart meters, emerges. Battery storage offers some relief as it can reduce peak load demand on the grid while improving overall system efficiency, according to Dehamna. The Edison Electric Institute estimated in 2008 that by 2030 the U.S. electric utility industry would need to make a total infrastructure investment of $1.5 trillion to $2 trillion, of which electrical transmission and distribution are expected to account for about $900 billion. The growth of energy storage will be lead by lithium-ion battery technology, which has become the de facto standard. Emerging technologies on the power distribution grid, which include digital “smart” meters, distributed energy resources such as solar power, and greater overall customer engagement, present both technical and policy challenges. Top 10 states that deployed new solar capacity in 2014. Tesla's battery system, which consists of the battery unit on the left, and next to it an inverter and appliance to monitor and manage power. 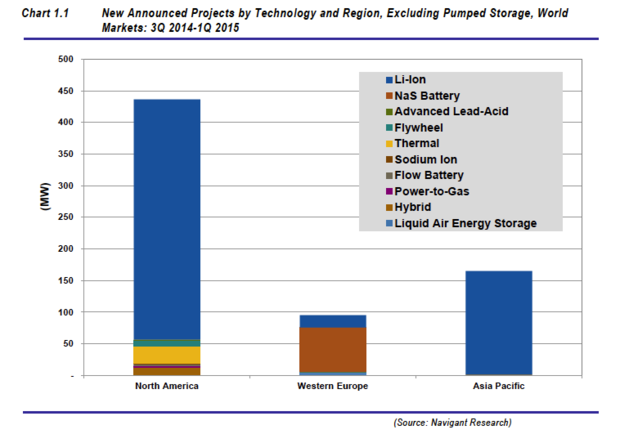 Tesla and others hoping to corner a $1.3B energy storage market won't just be selling batteries. 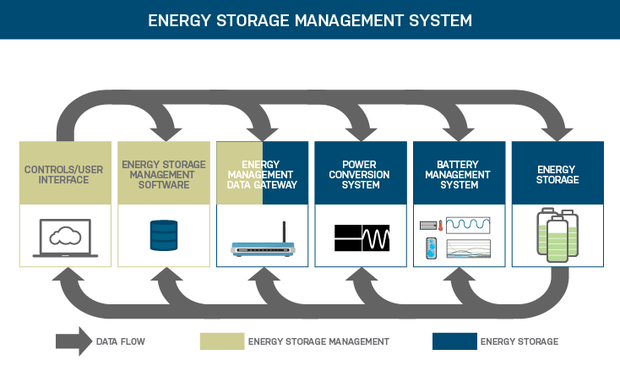 Energy storage systems consist of gateway appliances, power inverters, as well as monitoring and managment software. 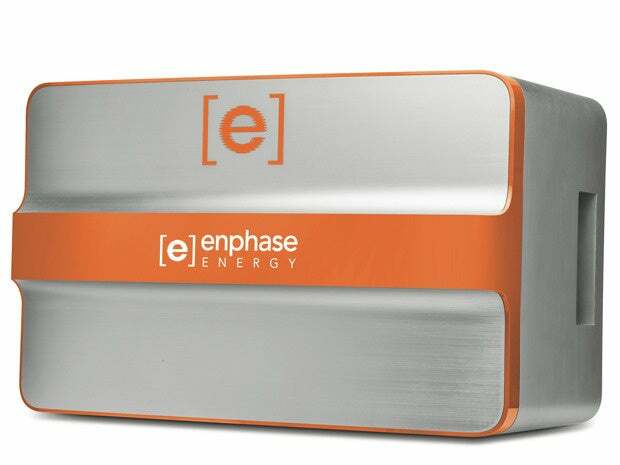 Enphase's 1.2 kWH batteries will go on sale in the second half of this year. 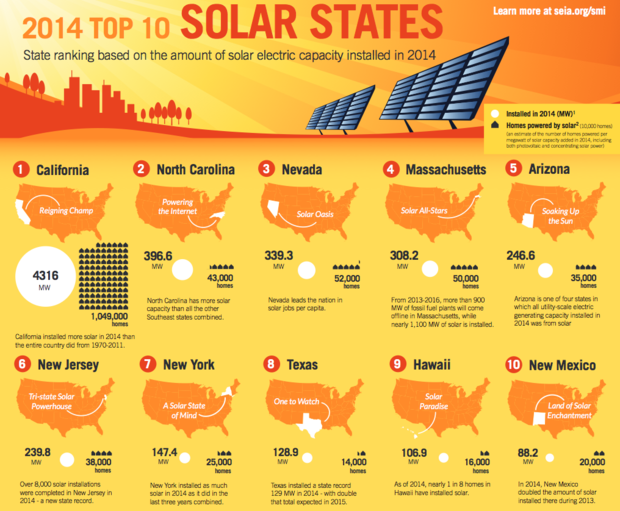 Enphase has made its bones in the solar power market by selling microinverters. The company has shipped 7.2 million microconverters that are installed alongside photovoltaic systems. Microconverters, like inverters, are used to change direct current (DC) from solar panels to safer alternating current (AC) used by household and business systems.